This page shows the latest smoking cessation news and features for those working in and with pharma, biotech and healthcare. Reductions to services such as smoking cessation and sexual health in some areas are directly contributing to unacceptable variations in the quality and quantity of care available to the population.”. a range of digital health start-ups focused on areas such as fertility, smoking cessation and GPs’ diagnostic decisions. EAGLES trial of 8, 000 patients backs the smoking cessation drugs' safety. ... A much-anticipated clinical trial of two drugs used as smoking cessation therapies has concluded that they do not cause neuropsychiatric side effects such as suicidal ideation. Likewise, smoking cessation app Smartquit has been so successful that the National Cancer Institute has awarded a $3.1m grant to conduct a clinical trial to test its effectiveness. REMS are already in place for other 'lifestyle' drugs such as Vivus' Qsymia (phentermine/topiramate) for obesity and Pfizer's smoking cessation therapy Chantix (varenicline). Approximately 4 fully matching, plus 88 partially matching documents found. Acquisition - company. 200. Eolas Therapeutics/ AstraZeneca. Orexin-1 Receptor Antagonist (EORA) programme for smoking cessation and other indications (preclinical). Pharmacists' wellness and prevention role means intervening when people are still well and many provide services such as weight management, smoking cessation and cholesterol and blood pressure monitoring. Tugnet managed a specialist healthcare development team at Nicoventures, which markets nicotine products for use in smoking cessation. During this time, she has gain experience covering therapy areas including allergy, cardiology, dental, diabetes, nutrition, skincare, smoking cessation, urology, vaccines, weight loss and wound care. 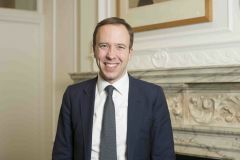 In addition, as director of communications for the UK's Health Education Authority, he also developed public health campaigns for AIDS, smoking cessation, childhood immunisation and heart disease. Low-energy. Cough &Cold. Anti-infectives. Smoking Cessation. Eczema &Dry Skin. Vitamins &Minerals. O’Connor moves to 90TEN following three years at Ketchum where she worked on both global and UK accounts across immunology, smoking cessation, men’s health and third sector clients. The main reasons for recommending Mobile Health App use were: Diet and Weight Loss (70%), General Health and Fitness activity (65%), Health Monitoring (53%), Smoking Cessation (49%), and Compliance (45%).